Well, crap...I was all set yesterday to order the signed trade HC that CD put up for sale, but then thought, Hey, I never did order PS Pub. signed trade collection from Brian Freeman that CD has also offered a short while back! So I emailed Mindy (and cc'd Brian) to see if it was still in stock to add to my pending order, and in the interim of waiting to hear back from either (which I still haven't, but it's only been a day), the Chizmar collection sold out. There may be more. We hit our allotment and are waiting to hear back from PS if we can get some more. Richard Chizmar is an excellent writer. Was thrilled to have him write "Silent Night" for Christmas Horror Volume 2. Fantastic story. Will have to get a copy of his new collection from PS! I'll be first in line if that happens (and I sure hope you do! 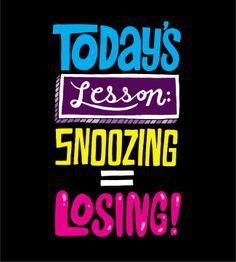 )...snooze no more! I completely agree. The collection 'A Long December' is an amazing bunch of stories! Have my copy on order with Camelot. Woohoo, after losing out the first time around, I just got my order in for a signed trade HC from that second batch CD just announced! Btw, Dan, you should tell Brian Freeman that he should follow Rich's lead and get some more trade HCs of WALKING WITH GHOSTS over here to sign and sell...I'd sure grab a copy. Ha. I though PS was sold out of the THC of Walking with Ghosts. I know CD has received the Trade copies of Mr. Chizmar's new collection The Long Way Home. Does CD have any idea when PS will be releasing the Signed/Slipcased edition of this book! I am jonesing for some Chizmar short stories! No idea. That's a PS question. If I had to guess, I'd say it'll be a little while yet, as I don't believe RC has received sig sheets for it yet.